With beautiful custom finishing and convenient slope-side location on Blackcomb, this upgraded Powderhorn one bedroom and den condo offers everything to make you feel right at home in Whistler. The spacious, open floor plan and well equipped kitchen is ready for entertaining, or choose to relax by the fireplace in the bedroom and watch the snow fall. South exposure and lots of windows keep this unit light and bright in the winter. Ground floor location keeps it cool in summer while you soak up the sun on your private deck. 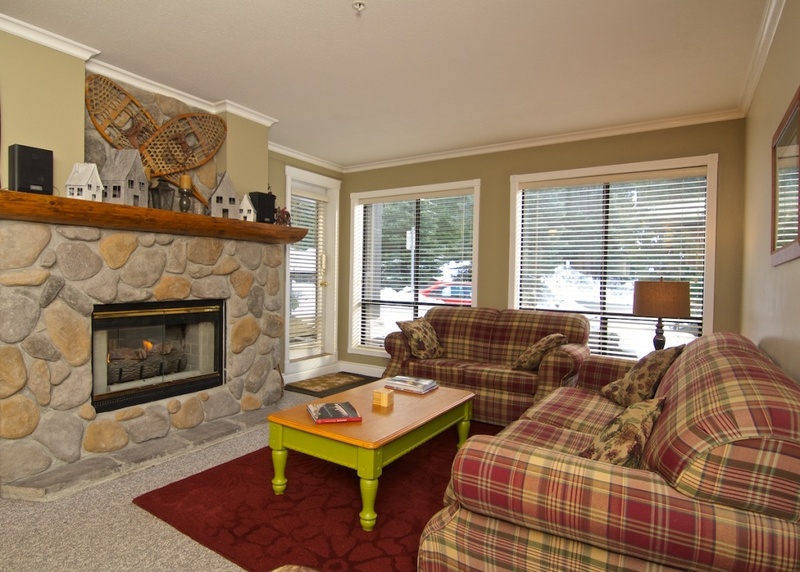 The Powderhorn complex is pet friendly; offers secure underground parking and plenty of storage. Zoning allows for full owner use and/or nightly and monthly rentals with website and bookings in place. Call today to find out how easy it is to own Whistler.